Financing available on ANY REPAIR with approved credit. Call or Ask Your Technician. Why is Thermal Insulation Important? Home | Blog | Why is Thermal Insulation Important? With Garner - It's Guaranteed! If you have an attic in your house, it is important to understand why thermal insulation is important. Insulation is a frequently overlooked part of temperature control. Many people are willing to pay for air conditioning and heating services and even to have someone look after their ductwork. But that is not usually enough to get the full bang for your buck. If you have ever climbed into your attic to retrieve or deposit something, you probably noticed the heat trapped in there feels like you’re entering an oven. In our area, it can get up to 150 degrees! But it’s confined to your attic, right? Yes, the highest temperatures will stay in your attic, but if you don’t have enough insulation some heat will also seep into your home that you are spending money on cooling. It can actually be a very significant heat transfer. It’s like covering your home in a toasty blanket. All the effort from your heating system is no match for the cold outside. While we don’t have much of a winter, you will wish you had a little extra help keeping all your warm air from flowing upward into your attic. Because cold attracts warm, the weather is basically pulling all of your heating out through your attic. 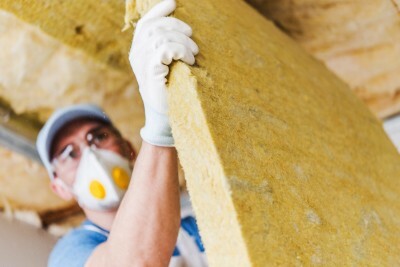 Batt Insulation – This is a rolled-out blanket of fiberglass. Since air is important for insulation, little air pockets are built into the matts. All that needs to be done is pack it into attic. Blown-in Insulation – At Garner, we use blown-in fiberglass. It is puffed up as it is blown out of a special machine, and it is very useful in getting into odd-shaped attic areas. With an adequate barrier, you can better keep your home’s temperatures in and the unwanted weather out. 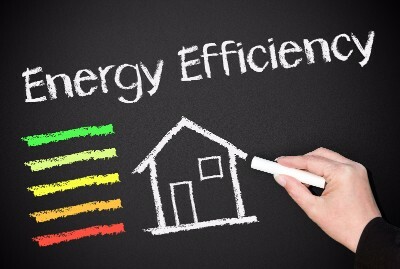 Attic insulation is recommended by Energy Star for better energy efficiency. It is typically recommended that you insulate about 10 – 14 inches. This is estimated to save you about 10% – 30% on your energy bill each month. We would definitely call that energy efficient! If you have any questions about the process, call our friendly insulation experts at 512-392-2000. By Doug Garner|2018-11-26T13:45:48-06:00December 8th, 2017|Blog Post, Homepage|Comments Off on Why is Thermal Insulation Important? I just wanted to say that both Sarah Duke and I have been very pleased with the three A/C units you put in for us. For our main home the electric bill has been cut almost in half. Our rental units in Austin and Kyle have had no complaints. Your service and price were great. I would like to congratulate a great company and their employees, for their service. Both technicians were totally polite, courteous & professional. They showed up as scheduled, and completed the work within the estimated time frame. I want to thank you & the crew for a Wonderful experience!! On a scale of 1-10, I give y’all a solid 15. Your crew is the Best!!! I’m impressed with the quietness of the unit too!Thanks again!! All of our technicians are N.A.T.E certified, clean cut professionals you can trust! Everyone deserves to feel comfortable in their home. We can help with Wells Fargo financing. We provide you a price before we do the repair! We never add a “diagnostic” or “service” charge on top of the repair. As members of Service Roundtable, we are continuously looking for ways to go above and beyond for our customers. We know everything that could lead to a system breakdown and have an easy course of action to prevent all of it. Service done and done right. We guarantee every repair we do with a price discussed before we even begin.